We started on the Black Oystercatcher Wine farm, at our Waskraalvlei. We’ve moved along the Nuwejaars River, passed the Saltpans, all the way into Zoetendalsvlei. 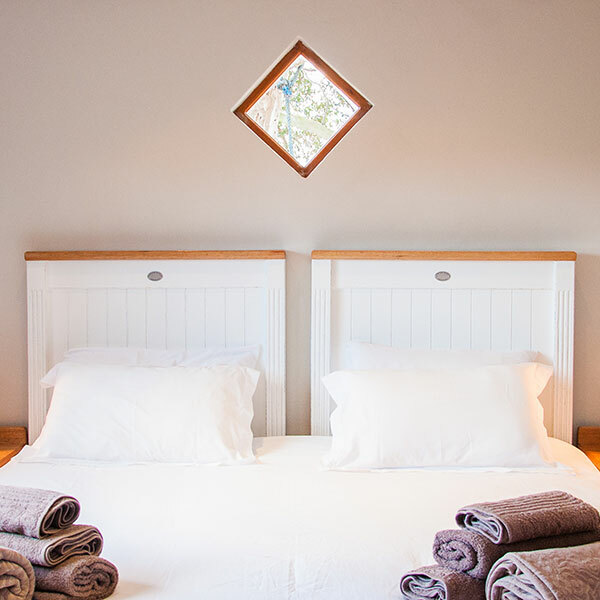 Now we follow the river, as it flows from Zoetendalsvlei to the De Mond Estuary. And it’s when we get here that nature-lovers really understand why we HAVE TO protect this region. The De Mond Estuary connects the Heuningnes River (from Zoetendalsvlei) to the sea. And it’s the birdlife you’ll see here that makes conservationists super excited. 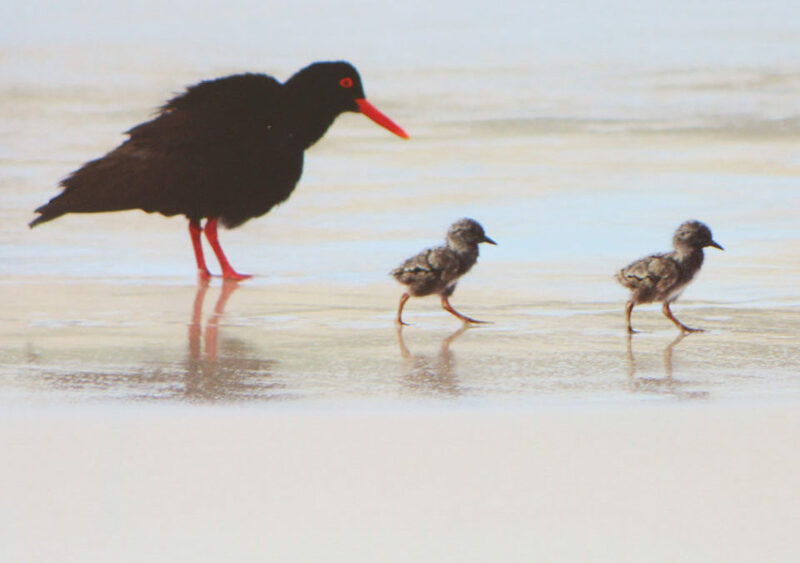 Of course, our favourite, the Black Oystercatcher, is a regular feature. But also look out for the Damara Tern. The estuary is one of only two breeding sites in South Africa for this species. The Caspian Tern, Kittlitz’s Plover and threatened Cape Cormorant are also seen here, as are the Lesser and Greater Flamingo. If you’re lucky, you could see an African Penguin (they sometimes roost here). Around 300 pairs of Kelp Gull nest in the dunes. And waders like the Curlew Sandpiper, Little Stint and Common Greenshank use the estuary. The estuary and its dunes are a Ramsar site (this is a site considered to be of international importance under the Ramsar Convention of 1971) thanks to these special bird species. De Mond was declared a nature reserve in 1986. Now this 954-hectare reserve is protected by CapeNature. Small antelope like the Duiker, Steenbok and Cape Grysbok. Dune milkwood thickets, limestone fynbos and dune fynbos. 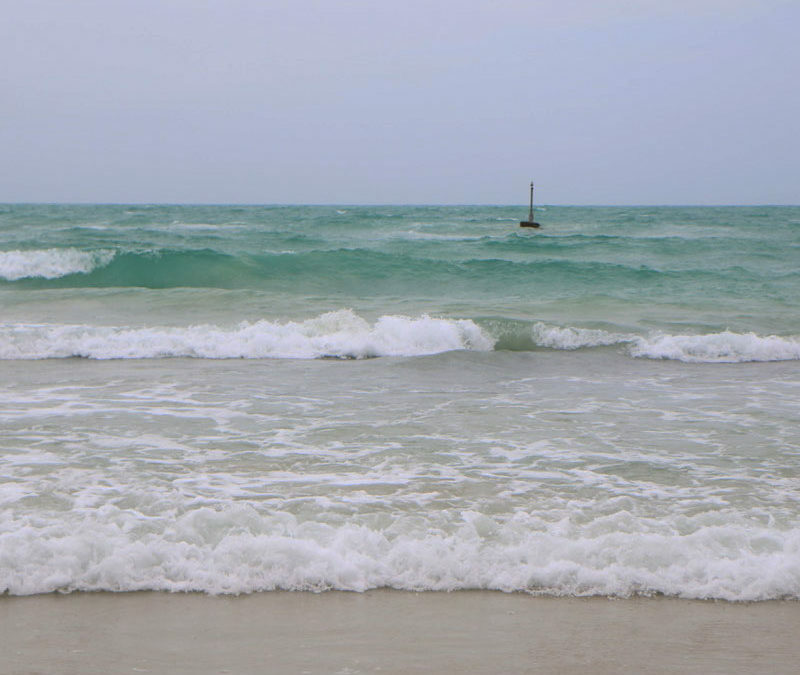 And the deep blue crystal-clear water where river and sea connect. Looking for things to do at the reserve? Well, it’s a favourite for marine and freshwater fishing enthusiasts. And if you’re a hiker – tackle the 7km Sterna Trail (named after the Damara Tern), a circular route starting and ending at the estuary mouth. 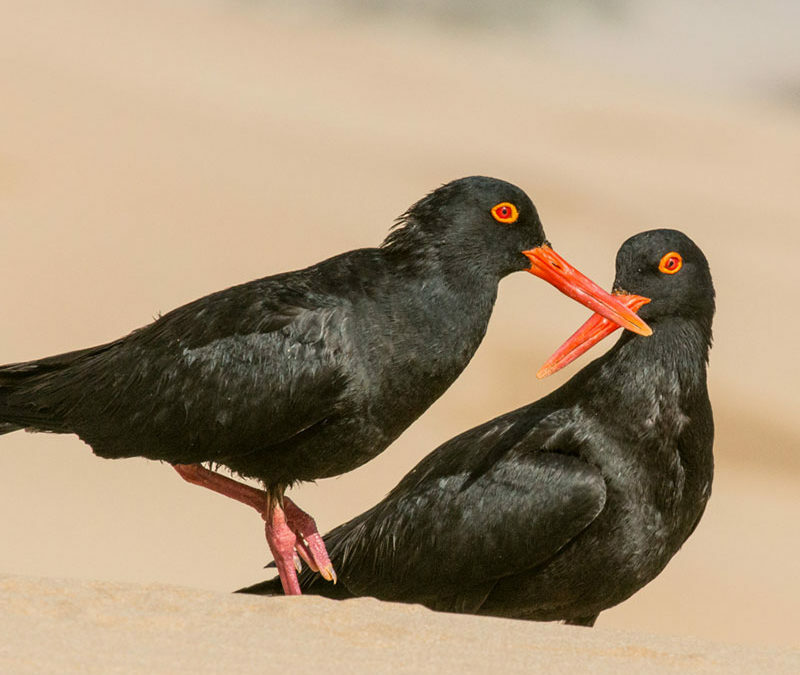 The Black Oystercatcher is a member of the Nuwejaars Wetlands Special Management Area. Through this conservation initiative, we help protect this entire waterscape – from the start of the Nuwejaars River – all the way into the De Mond Estuary.